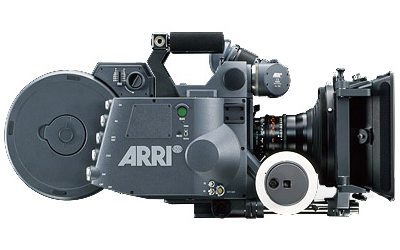 A 35 mm silent production camera that functions equally well as a studio or location camera for sync sound shooting. It is hard-wearing and sufficiently versatile to serve as the main or even the only camera for a feature film production. The 535B is characterized by a compact and lightweight design and ideal both as a main camera or as a second unit with the advantage of being able to use the complete 535 accessory range. The light-weight and modular viewfinder system with an exceptionally bright image is the main feature of the camera. As with the 535A, the viewfinder can be pivoted in two axis. Viewing from each camera side is possible, with an upright image in all positions.